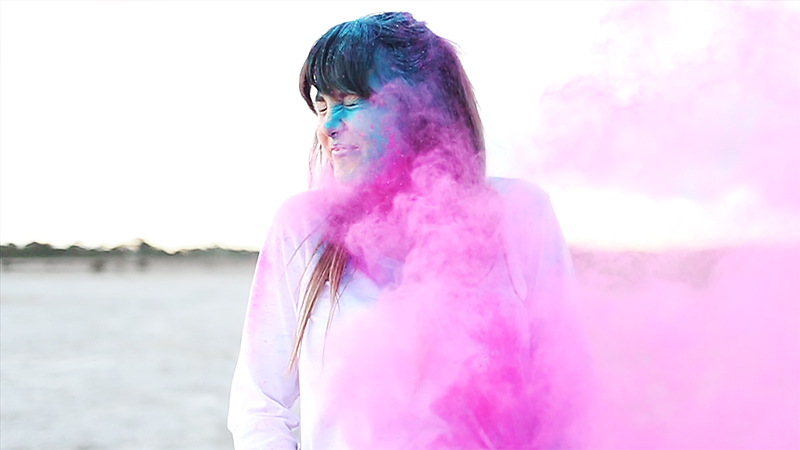 So the truth is, I've always wanted to have a play with Holi Powder. But the reality was even better! 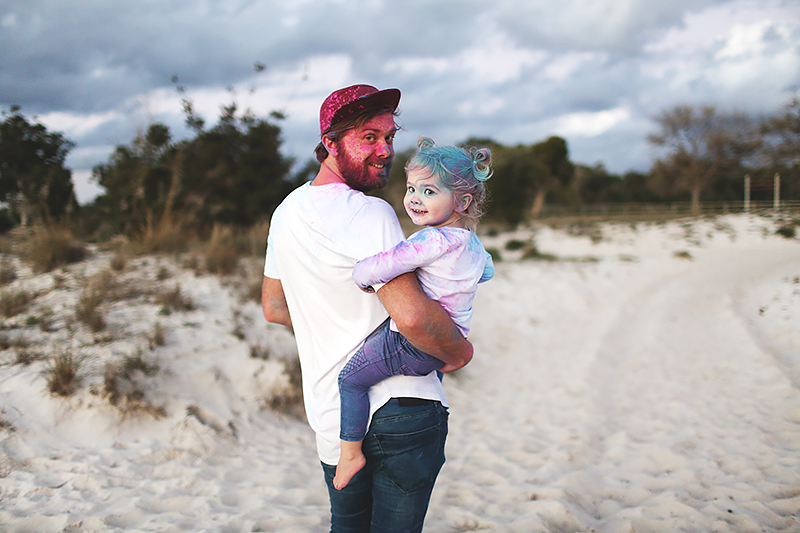 We decided to use some Holi Powder to do the Gender Reveal for our latest little baby! Our last Gender Reveal was really fun, and it involved the whole family with a dart game!! But it was also quite rushed as we had only JUST found out the gender ourselves and did the party within the next couple hours, rushing around. It was still really really special, but this time, we just wanted it to be the three of us. And we found out the Gender the week before, so we had time to let it sink in a little and just enjoy it. I honestly can't believe we are already up to this point. I am now over half way through this pregnancy, and I'm not entirely sure where it's gone!! I have spent the majority of it feeling really really sick and nauseous, which is so different to how I was with Isla. But luckily, that has mostly gone away now, and I'm feeling pretty good! Joe came home from work, and then we quickly planned what we wanted to do. He dashed down to the shops to pick up some plain white t-shirts for all of us, including the baby! I got things ready at home, and ready to pop in the car. When he got home we all got dressed in the white t-shirts and some blue jeans (I can not tell you how happy this made me. Ever since childhood I've had this thing for matching clothes, it's the BEST!!) Then I quickly printed up some words for the baby's t-shirt, and we jumped in the car. We talked about it and said that we'd just set up the camera, and have some fun together, and if it didn't work out, we wouldn't stress about it! We could always come do it again later, there was no rush. So we drove down to the lake where Joe proposed to me. (You know.. when he built me that fairy-lit raft and popped the question in the middle of the lake?! Goodness I'm a lucky girl.) The lake is mostly dried up right now which is perfect for what we wanted to do! Have a peek at the video below! Turn your sound up. We are SOOOOO happy!! We were really sure this one was a boy, because everything's been so different to last time! In fact, at the 20 week scan, they finished up and said 'okay, it's a girl!' and we were shocked! I actually made them put more gel on and check again!! Truth is, we've both loved having Isla so much, that we really want another little miss running around making us smile! We were prepared for a boy, and of course we would have loved having a boy too!! 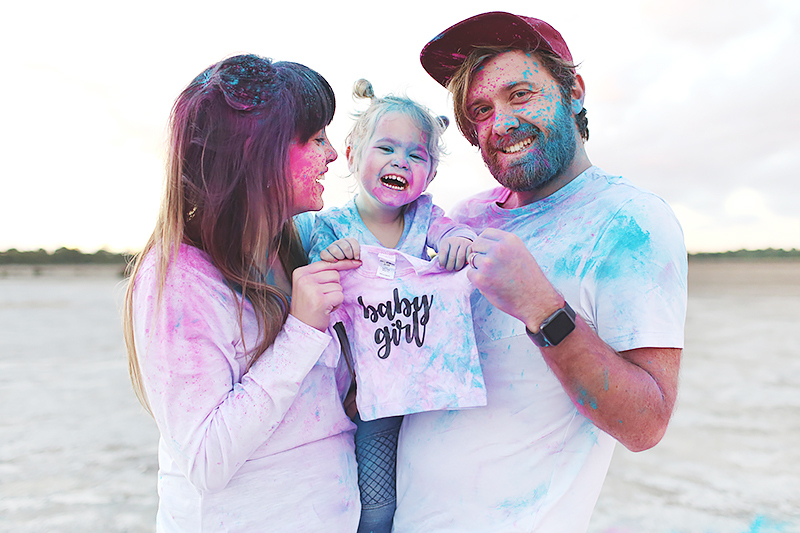 But we couldn't be happier right now knowing that we're blessed with another little girl!! 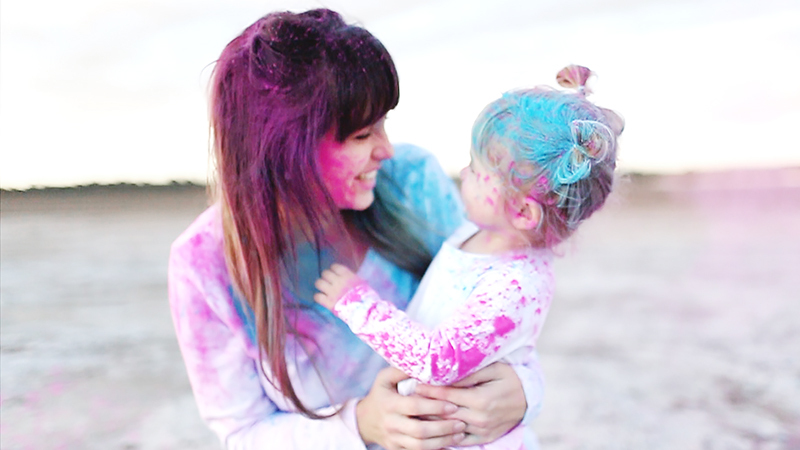 Using Holi Powder for the Reveal was also just so much fun and messy!! I want to get more, and use it all the time. We got ours from here. Well, I'll keep it nice and short! Here's some final snaps. I feel like the luckiest girl in the world to be blessed with my little family. I love my husband and my two little girls more than I could ever put into words. Have a colourful love-filled day! People who works there are some of the sweetest people I've met. Save yourself some time and just go there. Everyone at Seattle venues is sweet and ask how you've been, even though normally staff keep their heads down.